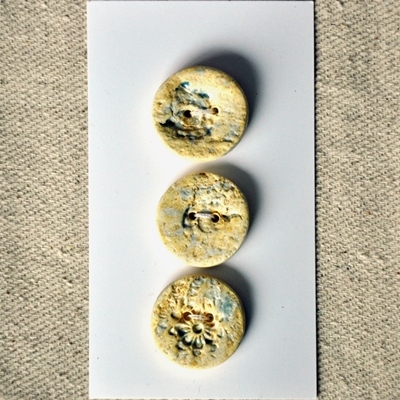 A trio of matte clay buttons, with subtle shades of sand and water. Two are impressed with a sea shell, the third with a flower stamp. Each button measures approximately 3/4" in diameter.